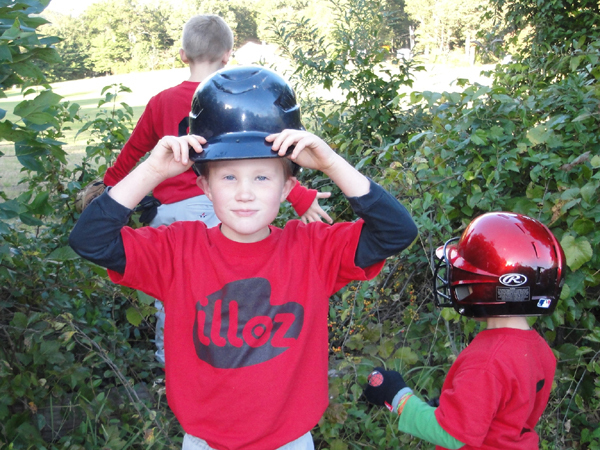 Every year, since I don't even know when, illoz has sponsored a baseball team in the fall. 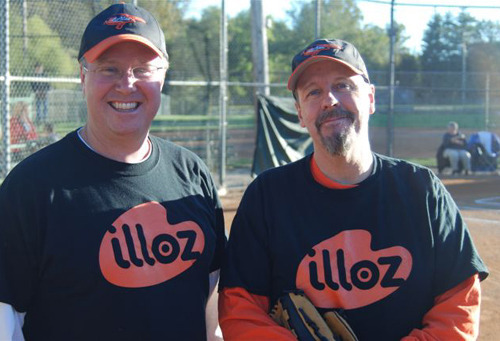 This year, please stand up and do the wave for the illoz Volunteers. 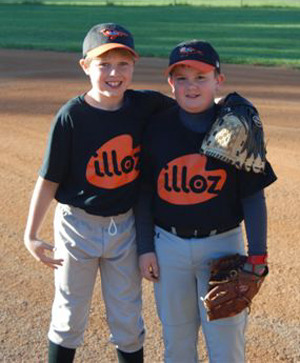 Take a look at this kid to the left (not the big ugly guy....the shorter one). If I had a poster kid for why I do this every year, he's my man! 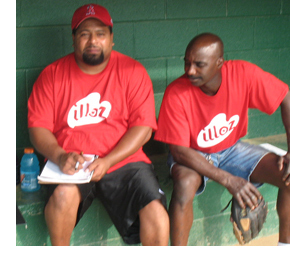 These kids don't know it yet, but the illoz logo on every one of their shirts was designed by Leo Espinosa. Thanks Leo! 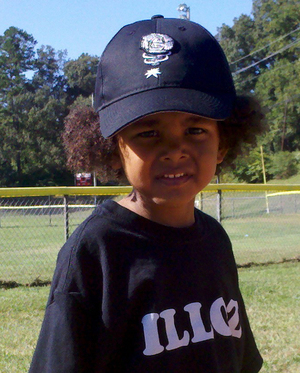 One day they will all grow up to love baseball and illustration, which goes without saying. But most of all they will sing the praises of Leo Espinosa. And who can blame them? 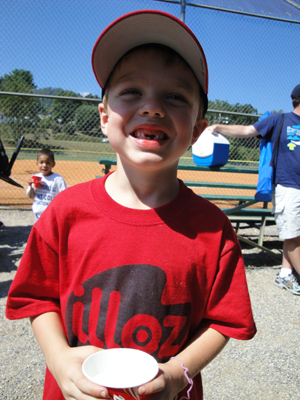 The illoz Volunteers play the great game of T-Ball. 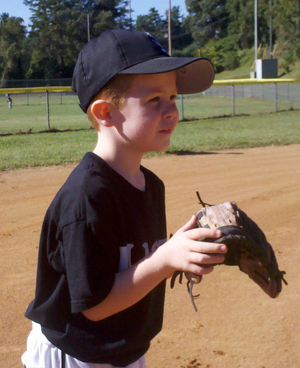 For those who don't know what T-Ball is, it's the only sport that isn't included in the Olympics that should be. I mean, come on! Is Syncronized Swimming better than THIS? No way! I might be changing my poster kid to this guy! He put on his sunglasses for the ladies, and two of them are on his team. I approve! You go player! illoz has your back, but look out because one of those girls is hitting clean-up!. 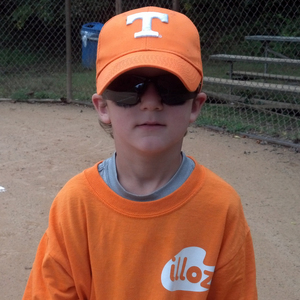 Every year, illoz.com sponsors a baseball team with WNC Fall Ball. 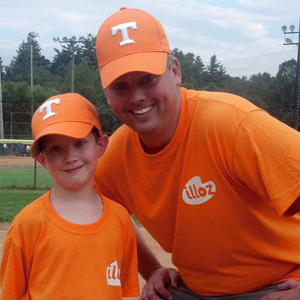 This year, we're sponsoring a T-Ball team, The Mudcats! 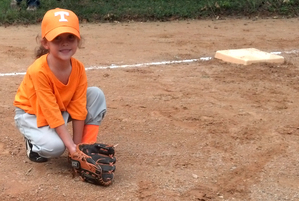 For those of you unfamiliar with the wonders of T-Ball, it's for ages four through seven. Players have the option of the coach pitching to them, or hitting from a tee (a little stand that holds the ball for them). 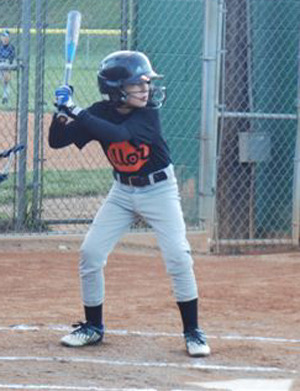 I've been around youth baseball for almost twenty years and T-Ball is by far my game of choice. 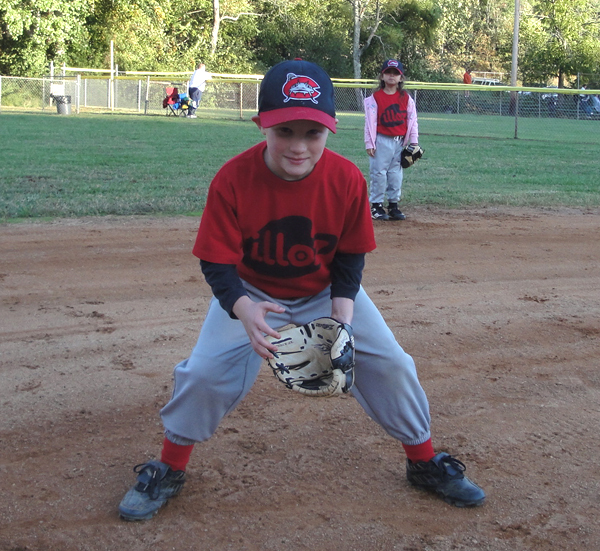 In the first Mudcat game of the season, one player ran to his mom after getting a hit, another player chased the ball into the outfield after hitting it and proceeded to wrestle with the outfielder who had the ball, and a third ran directly to second base after getting a hit. I'm telling you what, there's nothing like it. 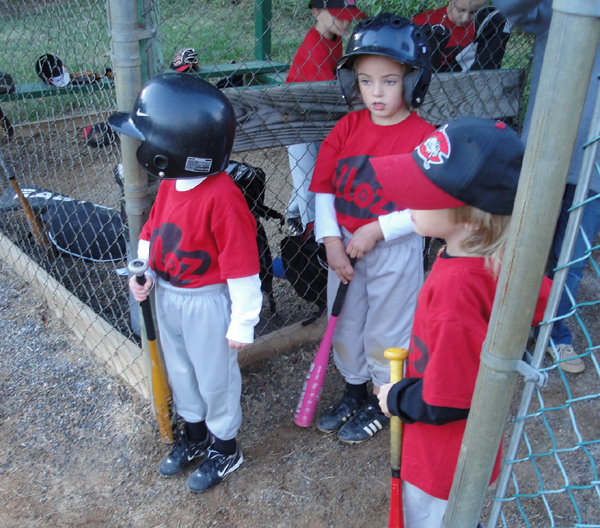 Mudcats, waiting for their turn at bat! 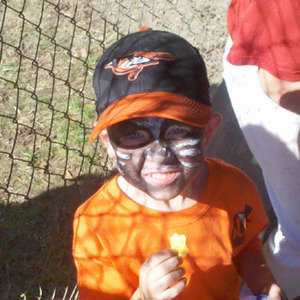 Go Mudcats! There's a creek behind the dugout and for Mudcats, this is the place to be between innings. Here's a few of the star players preparing to clamber through the bushes to look for salamanders. 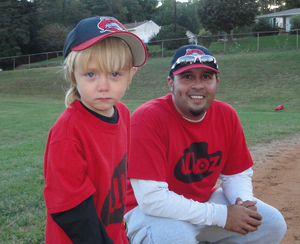 The Mudcats are team players, I tell ya! 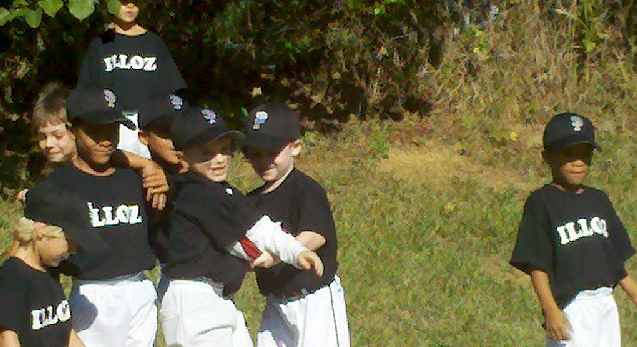 Yeah Mudcats! This is one serious Mudcat! Not! I'd like to thank Jermaine Parker for coaching the team! This guy really knows what the meaning of "play" is. A lot of coaches tend to forget what that word actually means to kids. Oh and one more thing: Pink bats are cool! Go get em girl! Test Link. 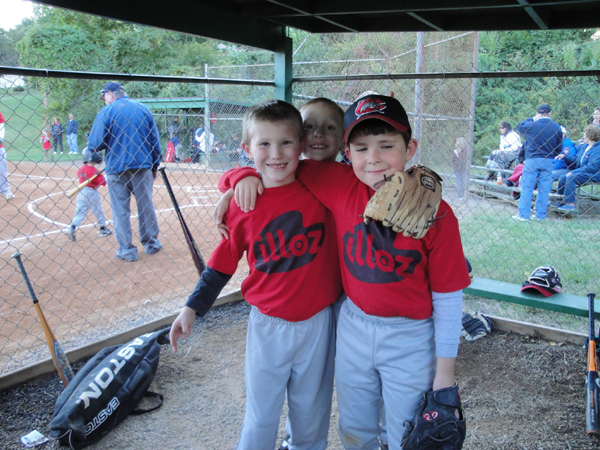 Meet the team that illoz sponsored this fall season! 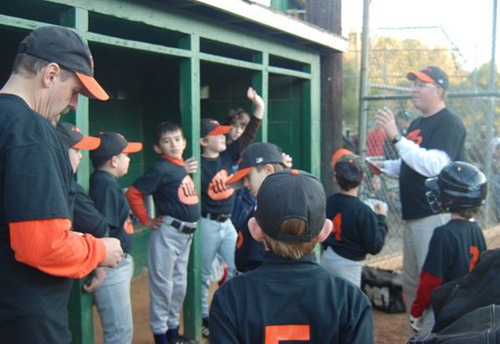 The Orioles are an 8, 9 and 10 year old team (2A) that took the field in our local WNC Fall Baseball league in Asheville, NC. 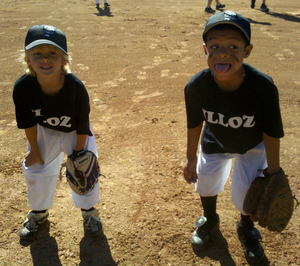 I'm a bit of a softy for dirty kids running bases and having fun in the sun. There's something about the light, the grass and yes the dirt that just speaks to me. All you have to do is add kids and, well, there you are. Who doesn't want to be these kids? I mean, seriously folks. Coaches Jamie and Jim were everything you'd want, especially if you're a kid. These two delivered 100% fun for everyone. I was lucky to find them, but the players were luckier to have them. Is there anything at all better than being on a team of friends? I doubt it. Is there anything better than the dugout? I seriously don't think so. It's your moment kid. All alone at the plate. Magic can happen. 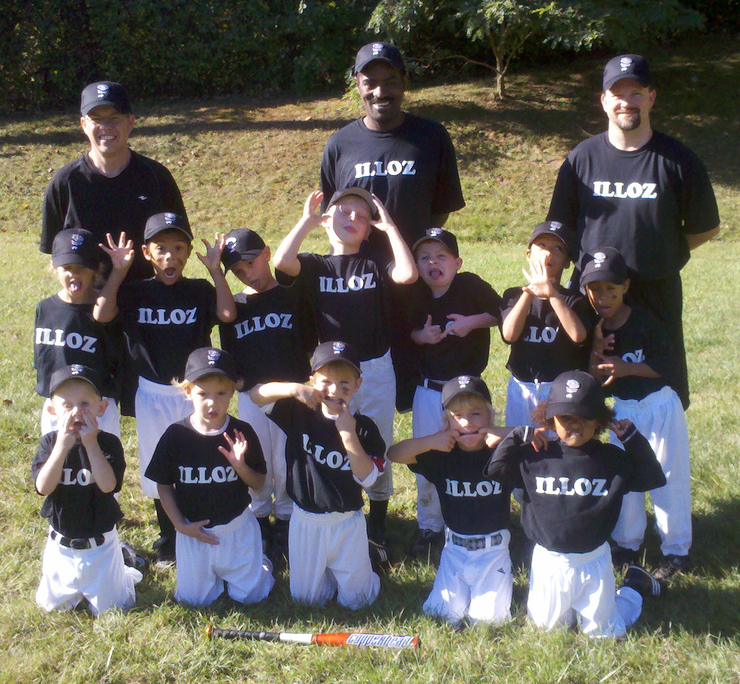 Not that it matters to me, but the illoz Orioles finished second out of thirteen teams this season. Well done, you crazy kids! Our illoz team from last year is here. Be back next seaon! 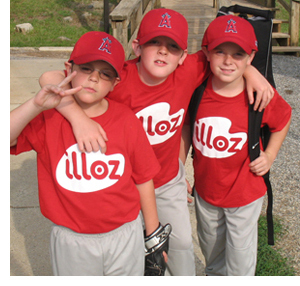 Thanks to everyone at illoz.com for helping to make this happen for these kids. They had an amazing time in the sun, thanks to you and their coaches. 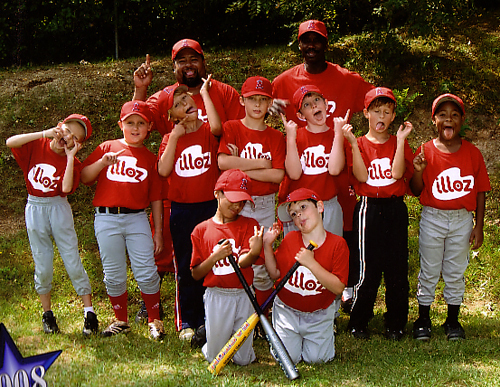 Why is it that kids baseball team photos are all the same? The photographer lines everyone up according to height so that the photograph is nice and symetrical. Everyone is instructed to put their hands behind them or at their sides. Face forward.... look like winners....and snap, that's your memory. A solumn line-up of kids who signed up to have a good time and play a great game in the sun. 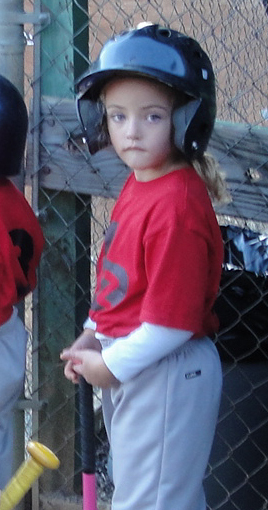 I've been involved with youth baseball for over 15 years now and year after year as the teams line up for their generic photos, I've often wondered, why so serious? 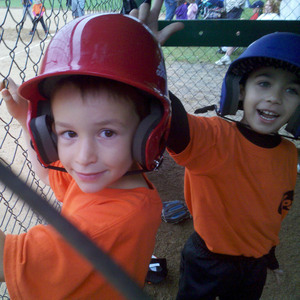 For me, baseball is about having fun - and when I say "fun", I really do mean exacty that. Most coaches insist that it's all about having a good time. In fact, they will repeat it over and over again. Have fun! But the truth is, when the game is on the field there are very few who actually deliver on their promise. Parents rarely help either. They scream from the bleachers, not with joy, but about the missed call or the missed opportunity. 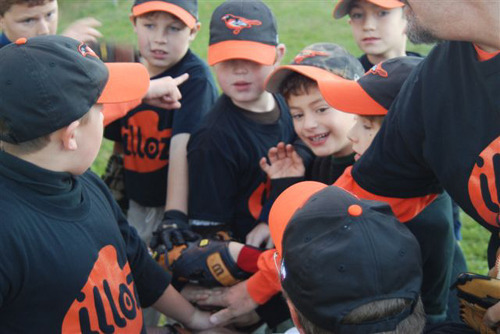 By far, the largest group in youth baseball is the very young. 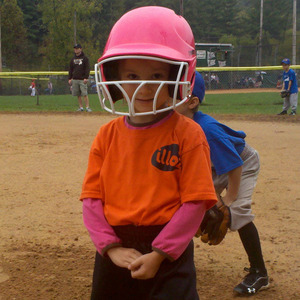 Players from ages four to eight outnumber players at age eleven by double. 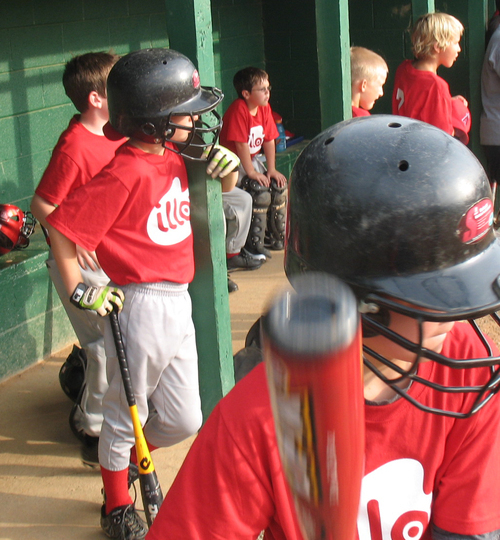 By age thirteen, the number of players is only a tenth of those who started at age six. Why do the stop playing? They stop because they thought the word "play" actually meant it was about having fun. It turned out to be exactly the opposite. Sadly, team photos are very often a snapshot of broken promises. I see it year after year. But, I'm not willing to give up! I'll be back next season with the same crazy notion that this game really is about having a good time. Perhaps I'm delusional, so be it. Play Ball kids!